Ann Arbor, March 26, 2018 - A new study published in the American Journal of Preventive Medicine shows that the 1989 Canada-US Free Trade Agreement (CUSFTA) was associated with an increase in caloric availability of approximately 170 kilocalories per person per day in Canada. These findings suggest that the rise in caloric intake and obesity in Canada since the early 1990s can be partially attributed to its close trade and investment arrangements with the US. The escalating global prevalence of overweight and obesity, or "globesity," is often described as a pandemic. Globalization via free trade agreements (FTAs) in is often implicated in this pandemic because of its role in spreading high-calorie diets rich in salt, sugar, and fat through the reduction of trade barriers like tariffs in the food and beverage sector. "Concerns center on how free trade and investment agreements increase population exposure to unhealthy, high-calorie diets, but existing studies preclude causal conclusions," explained lead investigator Pepita Barlow, MSc, Department of Sociology, University of Oxford. "Few studies of free trade and investment agreements and diets isolated their impact from other factors, and none examined any effect on caloric intake, despite its critical role in causing obesity. This study addresses these limitations by analyzing a unique natural experiment arising from the exceptional circumstances surrounding the implementation of CUSFTA." Investigators used a "natural experiment" design (that mimics a randomized controlled trial as closely as possible) and data from the United Nations Food and Agricultural Office to evaluate the impact of CUSFTA on caloric availability in Canada. They found that it was associated with an increase in caloric availability and likely intake of approximately 170 kilocalories per person per day in Canada. Since 1994, the rise in calorie availability in Canada far exceeded other countries. Using sophisticated models, researchers also showed that this rise in caloric intake can contribute to weight gain of between 1.8-9.3 kg for men and 2.0-12.2 kg for women aged 40, depending on their physical activity levels and the extent to which availability affects caloric intake. This coincided with a US$1.82 billion increase in US investment in the Canadian food and beverage industry and a US$5.26 billion rise in food and beverage imports from the US. 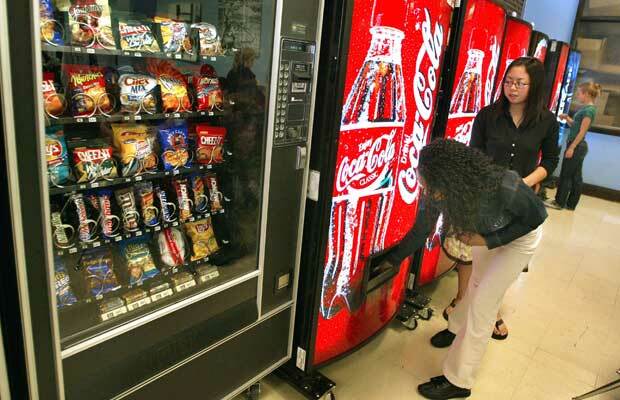 US FTAs are especially likely to encourage elevated caloric intake because of the highly competitive processed food and caloric beverage industry and associated ’obesogenic’ environment that pertains to the US. Processed food and caloric beverages play an important role in increasing caloric intake, as they are often calorie dense, leading people to unknowingly consume too many calories, and highly palatable, encouraging further consumption. "Our analysis is particularly relevant now when many governments are seeking to implement free trade agreements with the US," noted Ms. Barlow. "These include the British government, which is currently seeking a UK-US trade deal as part of its post-Brexit growth strategy. Our study suggests that these trade deals may have a deleterious impact on population diets and obesity when they are implemented in countries where food supplies are already adequate to meet food demands." This study has important implications for policy. It strengthens the quality of evidence that is used to highlight the potentially detrimental impacts of US FTAs on diets and shows empirically how trade policy is a structural driver of dietary behaviors. By doing so, it also highlights the need for greater coherence between nutrition and trade policy-making if governments wish to minimize the potentially deleterious impacts of FTAs on population health - and maximize their health benefits - without jeopardizing obesity prevention.